Contrary to what many clients and advertisers believe, the media aren’t sitting around hoping and praying for the launch of a new product to write about. It’s rare that the chief of staff of the Herald Sun will stop his or her busy newsroom, drop the story on the earthquake, turn a blind eye to the ousting of a prime minister, deem a scandal boring and replace them all with a story on a new range or workwear for tradies. Unless, of course, it’s worthy of public interest or seriously entertaining. The news media are often the primary target because it is this sector of the media that has the most influence on the public’s perceptions, opinions and desires. The mainstream media are extremely powerful when it comes to framing, creating interest and, yes, driving sales in a short space of time. So when KingGee and Public City had the task of launching Workboardie, a dual work and surfboard short for tradesmen, it needed a story strong enough to warrant mainstream media attention and fun enough to inspire them that it could be a human interest story, not just a product shot for the product pages. This was new ground for KingGee at the time. The iconic brand had great resonance with the older tradie, but had lost ground with the younger tradesman in recent times. The brand needed to build a connection with a younger target to grow and remain relevant to new tradies on the job. 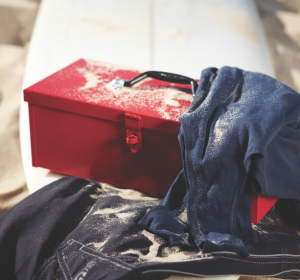 The Workboardie was designed for the young tradie who goes to the beach after work, and goes to work in his boardies. Boardies are seen on job sites during the warmer months, because they’re lightweight, comfortable and don’t require a change after work. But they’re not safe and nor are they very professional looking. The Workboardie was therefore built with the same toughness and durability of normal work wear, using a lightweight and quick dry fabric but designed as a board short. Tradesmen between the ages of 17 and 27 were identified as the target audience and the key message to communicate to this group was that the Workboardie was built for performance at work and life at the beach. KingGee’s business objective was to sell 6000 units from October 2009 to February 2010 through public relations only. The product was completely new for KingGee and therefore the budget was kept relatively small, to gauge the market’s interest before mass production. Therefore, another key objective was to give the range a strong foundation for growth. The challenge was to make this product newsworthy. Getting it into new product pages in men’s or tradie magazines was a given, due to its relevance to these sections. But how do you make it mainstream news, without losing focus on the product itself? The other challenge was to do so in a short space of time. Small budgets spread over long periods of time would not make the kind of noise that moves people. 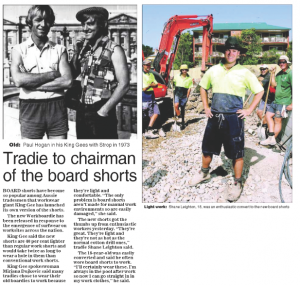 Content analysis on tradie-related stories, surf-related stories and the media that both audiences consume, showed little opportunity for a tradie work wear product story in the news. The Workboardie appeal was broadened to encapsulate blue collar and white collar workers – half the population. Credible content had to be created to link the product to the great Aussie culture, in great Aussie larrikin style, ensure the product’s credibility and tough credentials, and position Workboardie as legitimate work and surf wear. The tone of the approach was light – and all content was purposely created to ensure the story was taken as such. Mainstream tabloids were the prime focus, considering the influence these newspapers have on television and radio. 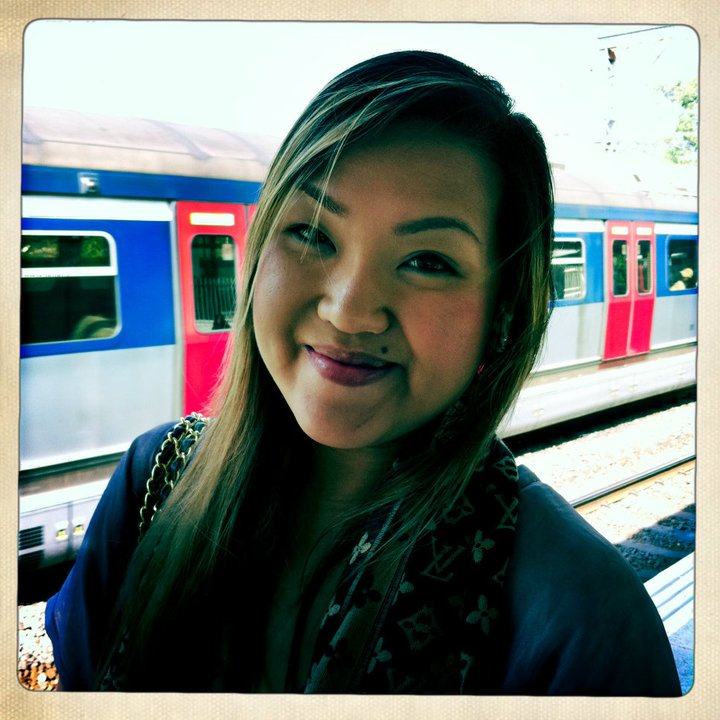 Together, they would elevate the importance and value to the vertical publications. encourage trial and seed to the public through giveaways. Three visual conduits were prepared. First up was a full-size long surfboard, custom-designed to look like a tradie’s workbench on one side, and ‘surfie like’ on the other. The work board side posed the question, ‘What’s built for work and surf?’ This was used as a media send-out to the leading mainstream media, to commence negotiation of story angles. Second was an image of a toolbox with the product inside, on a surfboard, on the sand, at the beach. This was to assist with setting up giveaways, but also provided us with the inspiration for what later became our media kit: a bright red toolbox with all relevant information and product inside. Finally, and to truly extend the larrikin tone through the release and into the media contacts, a professional image of each public relations consultant had a bikini top superimposed on it – again, demonstrating work and surf. The study formed the crux of the launch. It gave a reflection of Australians’ beach behaviour, from the perspective of male white and blue collar workers. It allowed for enough credibility and scope for an entertaining news story, with true relevance to the product, so as to not make it a pure product (and hence, to the media, boring) story. Tradies were researched on the day media interest was sought – subsequently the authenticity of the spontaneous interviews was genuine. In this case, it made for a great yarn, and resonated exceptionally well with the varying audiences. Packaged together, the media kit became a visual conduit for the key message: work wear made for work and surf. The content gave it enough credibility to inspire the media to consider a story and each journalist’s individual take on it made for a very interesting read. Giveaways are the bread and butter of any product launch campaign. Supported by light-hearted ideas and given creative free rein, radio stations nationwide had a field day with promo concepts such as ‘tool of the week’ (to win a Workboardie) and ‘wise cracks’ (to win a Workboardie). We even challenged one radio announcer to wear the Workboardie with stilettos to work for one full day, after mispronouncing KingGee. If she could do this, KingGee would give away a Workboardie. Such ideas really appealed to radio – over 10 radio stations ran on-air giveaways, some for over 10 weeks. The campaign successfully engaged the key KingGee media with coverage spanning 105 different media (TV, print, radio, online). The key message was communicated in 100 percent of coverage and targeted to the core demographic. 80 percent of the coverage came out within the first four weeks of the campaign’s commencement. More than eight million people were reached through media activity over the course of the campaign. KingGee sold out of the Workboardie in the first two weeks of the campaign. Over the course of the campaign (October 2009 to February 2010) 10,819 units were sold, 45 percent more than initially forecast.